*** Lipgloss does not belong to sale. 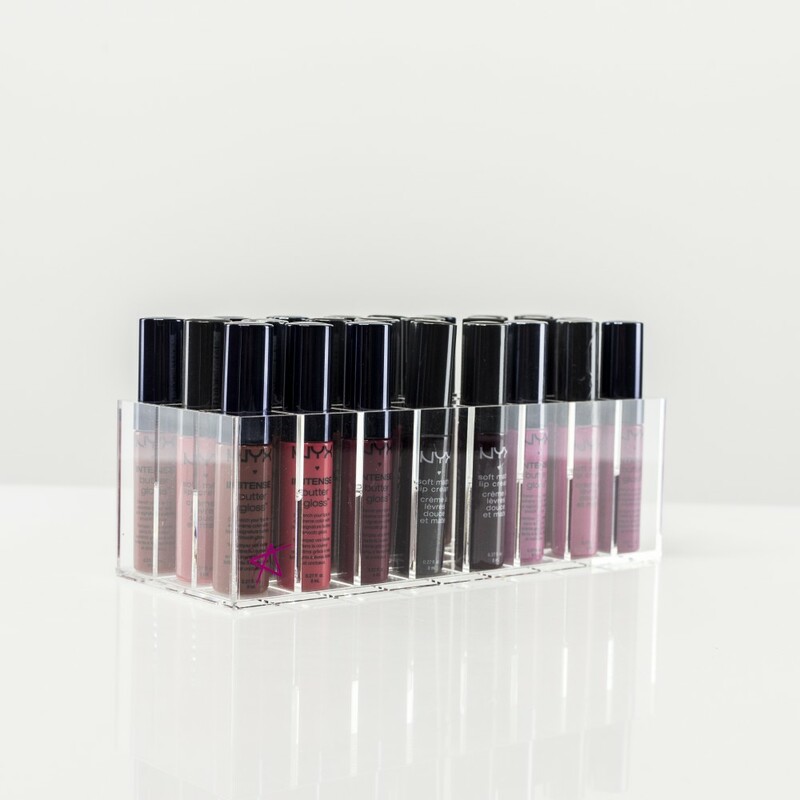 It’s very easy to end up with lots of lip gloss tubes as new colours and textures are released each season. With the rise in popularity of liquid lipstick, it’s not surprising if you’re planning on continuing to collect these small colourful tubes. You probably keep them in your drawers, handbags or all over the house - which isn’t great when it comes to finding them. 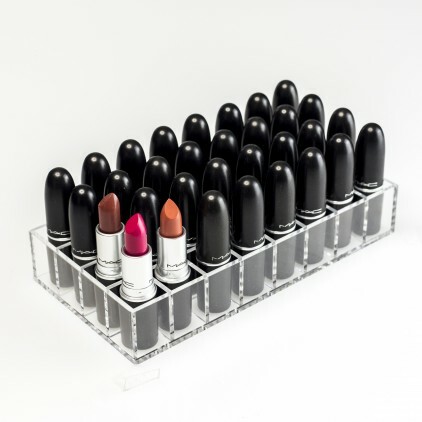 Fortunately, lip gloss and liquid lipsticks are more or less the same shape due to their applicator brush and, better still, this storage unit has exactly the right compartments to fit these types of tubes. 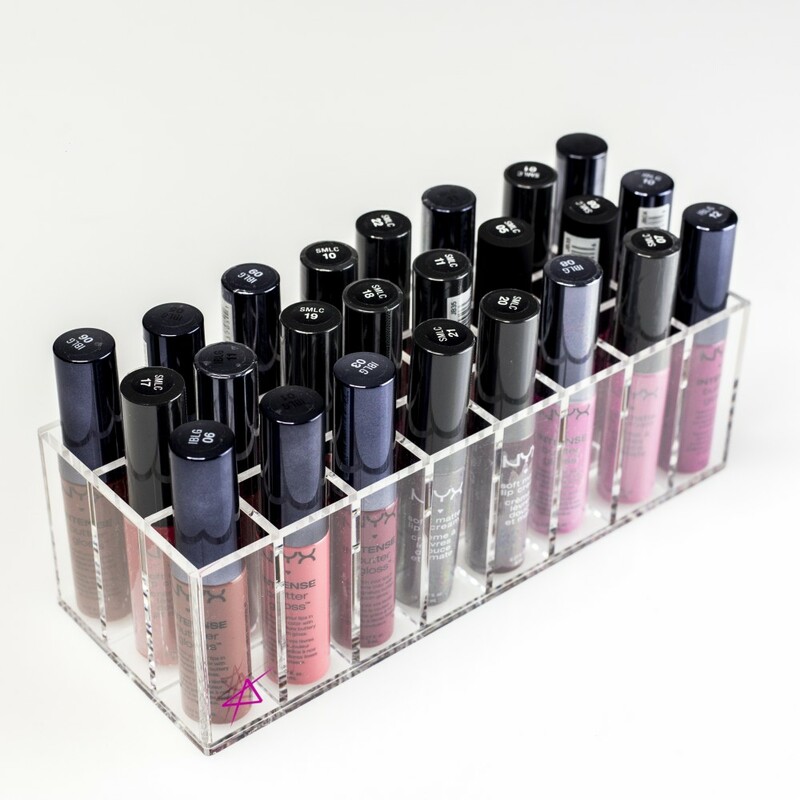 You can pop up to 24 tubes of liquid lipstick and lip gloss into this organiser. It will hold most American brands like Anastasia Beverly Hills, NYX Cosmetics or Colourpop Cosmetics and more and they’ll all be easily accessible in one place. Even if you have limited space, this storage unit fits into small spaces thanks to its compact dimensions of 203mm*78mm*80mm. This beautiful display unit is made of high quality, clear acrylic and you can use it to show off your collection on top of your chest of drawers or dressing table.